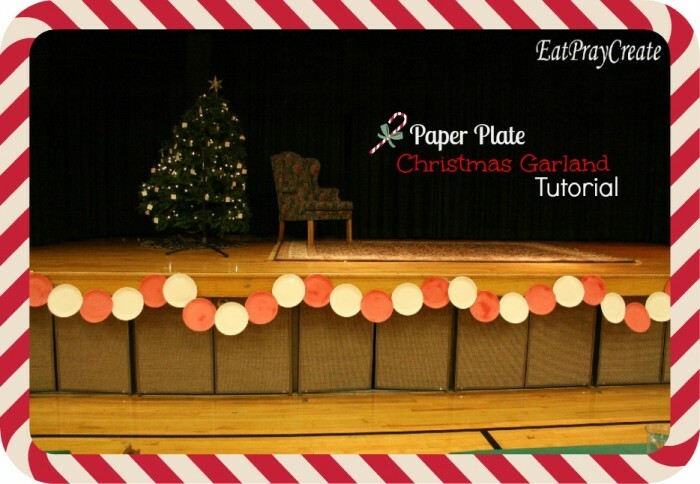 Today I’m going to be showing you how to make this simple and easy paper plate Christmas Garland to help you decorate for the holidays. 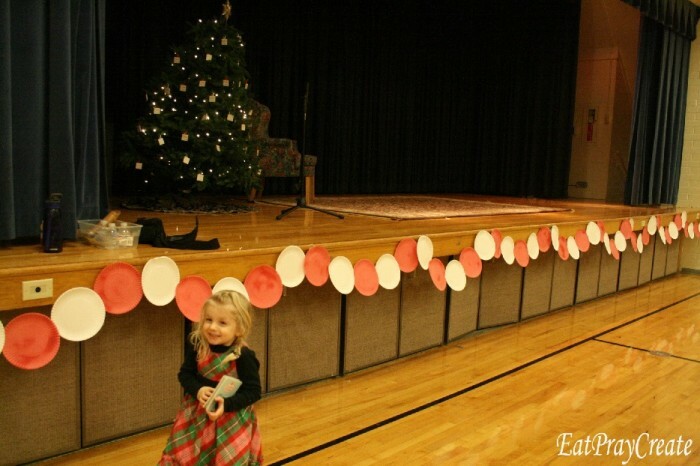 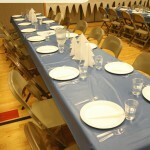 This is a great decoration along the stage at your Church’s ward Christmas Party! 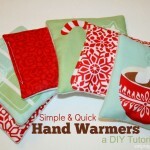 It’s cheap and easy too! 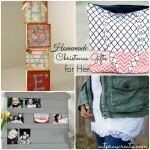 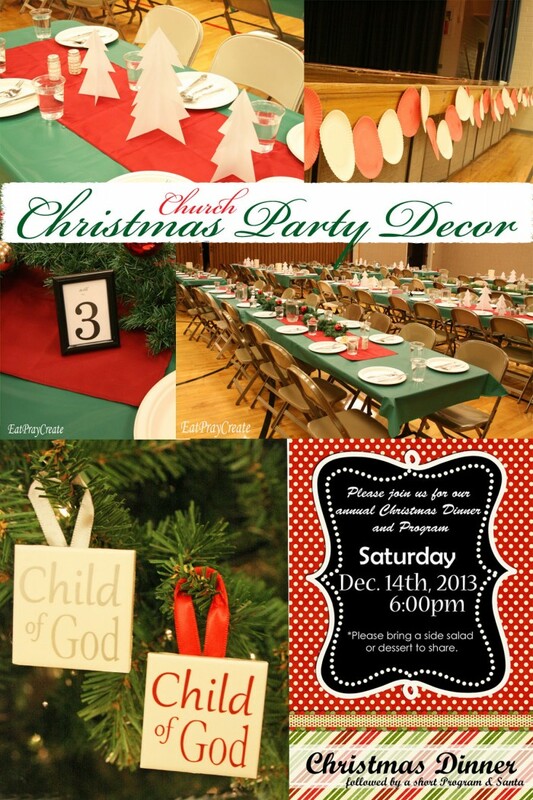 Here is my Christmas Party Decorating Ideas Post where you can find more great decorating ideas. 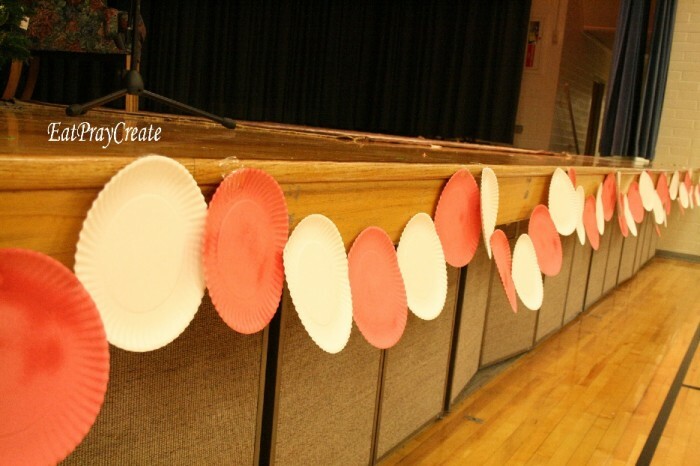 Here’s what you’ll need to make the paper plate garland…. 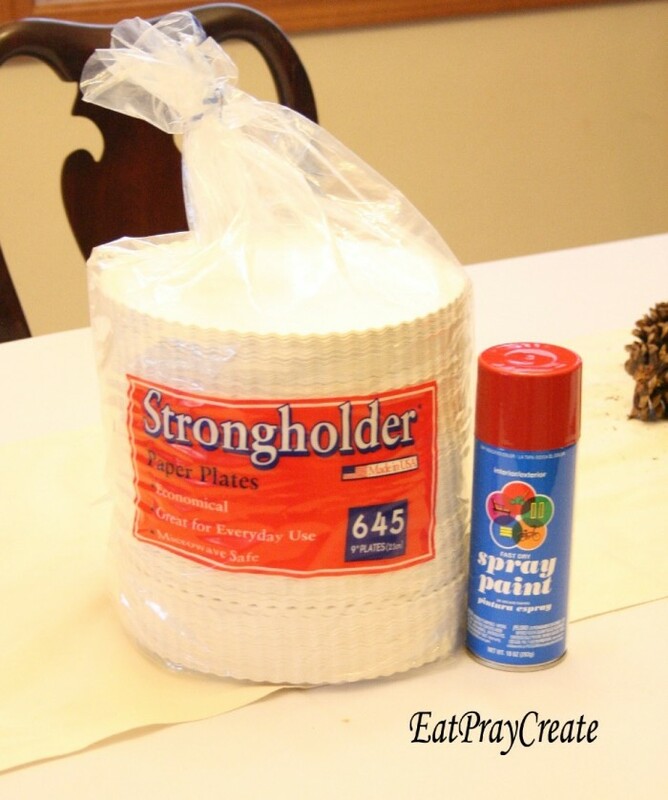 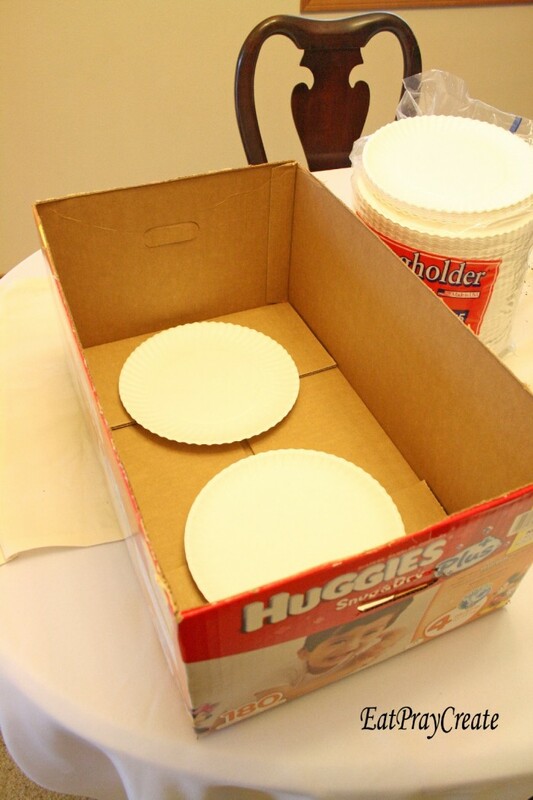 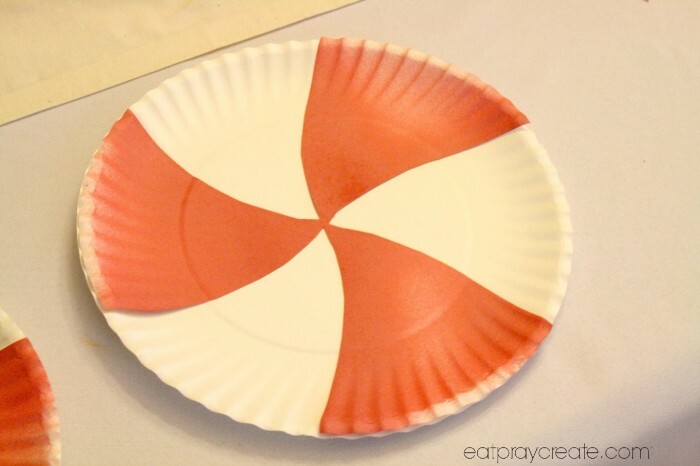 Start off by painting half the paper plates you’ll need for your garland. 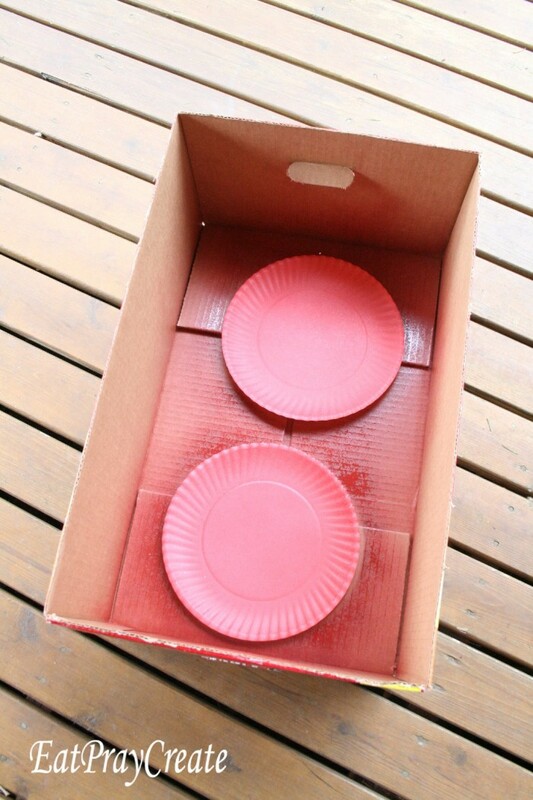 Just spray paint and set aside to let dry. 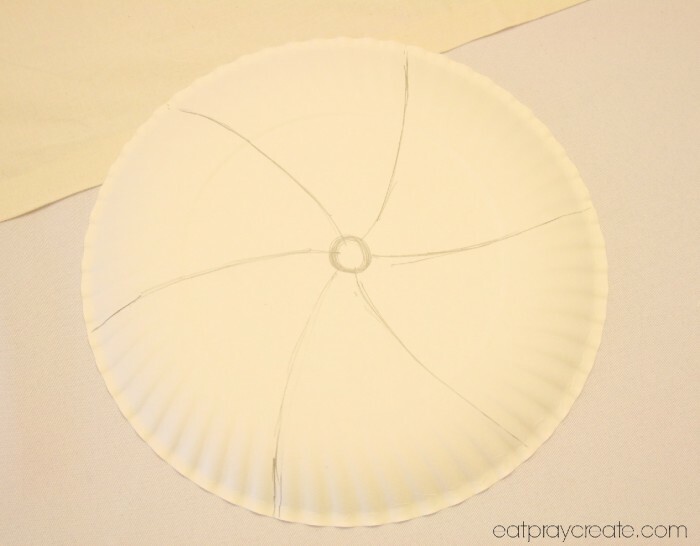 Once all your plates are dry line them up and staple them together at the edges or use tape on the back. 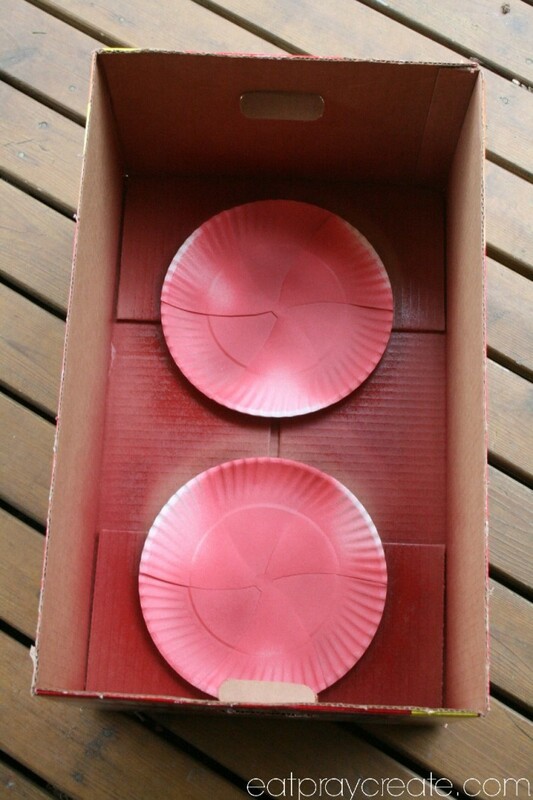 Then use some packing tape to tape it to your stage edge. 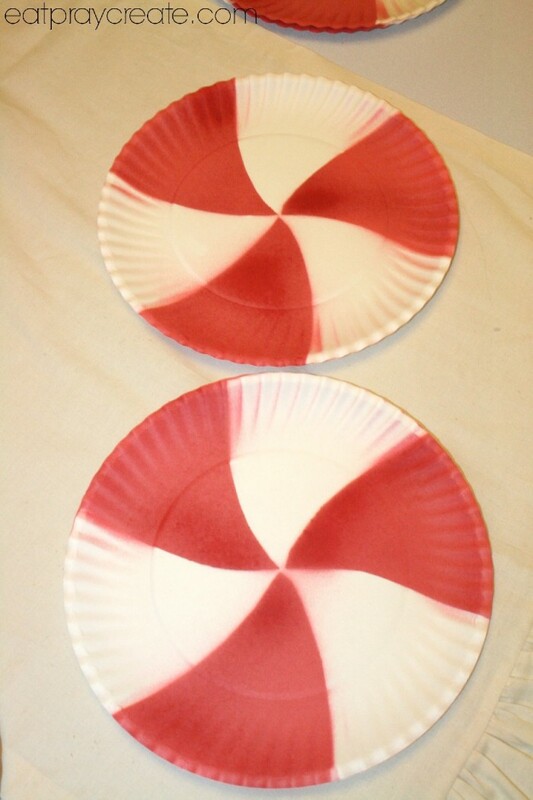 You can also make some cute peppermint candy paper plates (which would be cute to put cookies inside of for delivering holiday treats to friends, neighbors, or teachers). 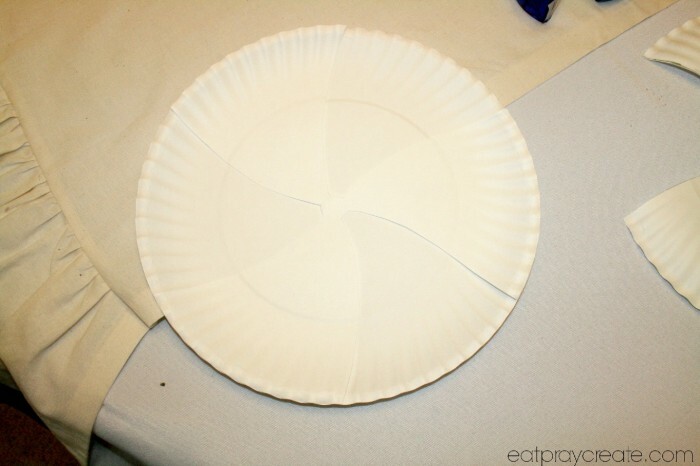 Then add tape to one side and attach it to another plate. 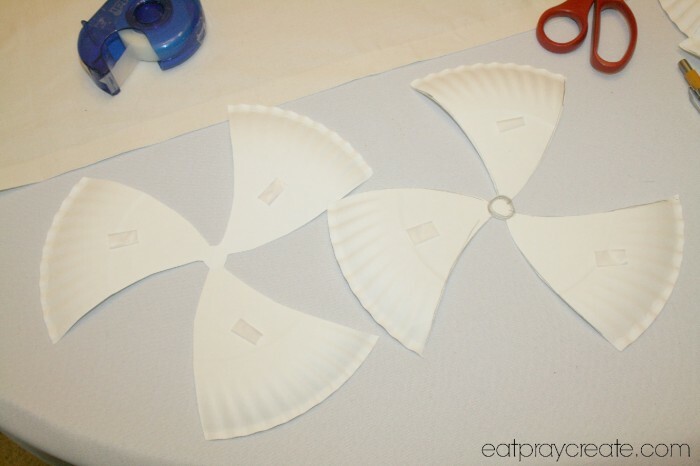 Then spray paint, allow to dry and remove the pattern piece. 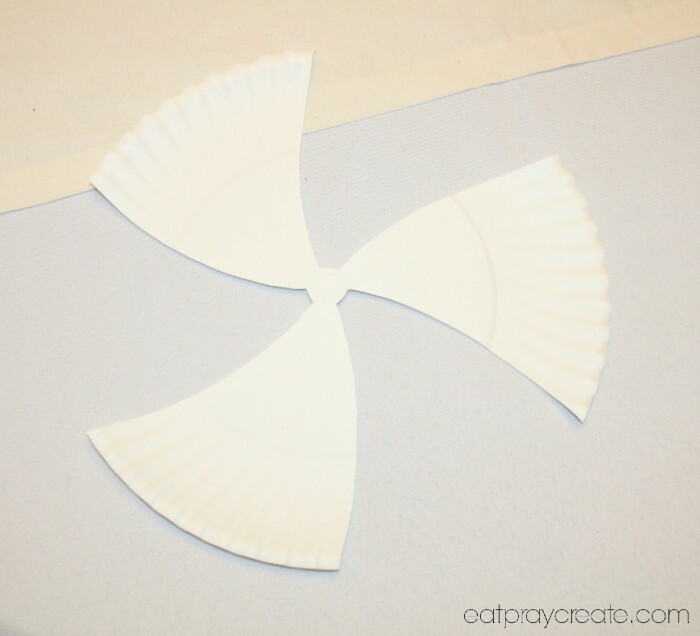 You can also use the pattern piece and attach it to another plate to get the same effect! 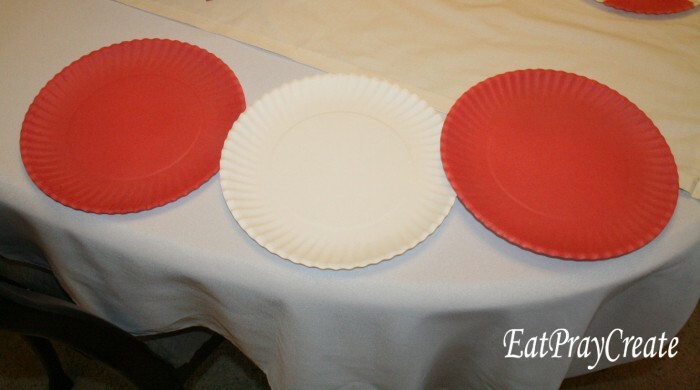 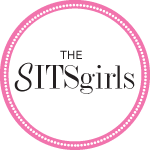 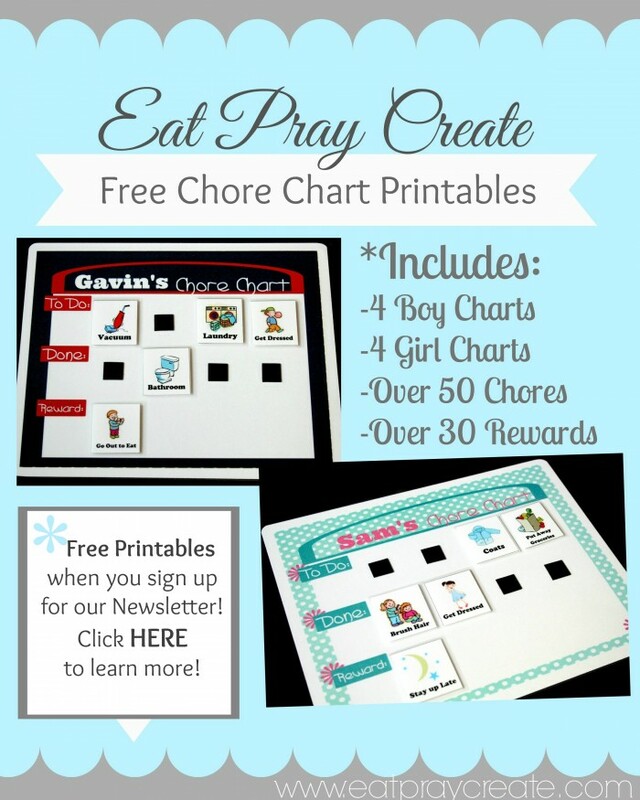 Click HERE to see all the fun linky parties I’ve linked up to.